Remember this video from a few weeks ago? Well I thought we could start a conversation on what our general feedback was to the video. How can you change what happens to these kind of kids? How did this affect you opinion (if it did)? IF YOU CAN'T FIND ANYTHING BEAUTIFUL ABOUT YOURSELF, GET A BETTER MIRROR, LOOK A LITTLE CLOSER, STARE A LITTLE LONGER! BECAUSE THERE IS SOMETHING INSIDE OF YOU THAT MADE YOU KEEP TRYING WHEN EVERYONE TOLD YOU TO QUIT! I think people are all the same and no one should make fun of you for who you are we. Could help them by telling people we trust. I get bullyed sometimes and I hate the poeple that bullyes other, the person that's bullying the other they should look at them self in a mirror and see who they are and i'm sure that thier feeling will feel bad when they get bullyed. I think we've all experienced being bullied at some stage in our lives Toru - it isn't nice at all and it can do so much damage. Always speak out about it - you are the strong one if you do. The others are weak and have no right to treat you in this manner. Always talk to someone who you know will listen and support you. We think that everyone can relate to this because i bet once in a while someone gets bullied or even put downs and that we should do something about it because it is not right. I love your attitude girls. We should always try to help and do the right thing. Integrity means a lot doesn't it. Proud of you. You both have awesome attitudes towards respecting and looking after others. You are great role models. I'm very proud of both of you. I felt sad because every body I mean every body gets bullyd and I think that the bullies bully everybody else just because they got bulleid, look in the mirror look closer look what you become you became a bully thats makes fun of people and thats nice being bully is not proud of its being person in the dark a dark person is a unachiever and a unachiever is a unaccomplish and a unaccomplish is not a good person if you are a good person then you can achieve and accomplish any thing that you believe then you are light like the star shining over dark in the sky and if you want to be like then we are proud of you. Fabian, this really moved me - it is so very powerful and I hope everyone reads it. The only thing I would say is that you do need to go back and proofread it - especially for punctuation and meaning in a couple of places. Your message is far too important to be lost. I hope you'll go back and edit / proofread and then post again. This is powerful. Very proud of you. You have to believe that THEY ARE WRONG and THEY ARE WRONG. No matter what, you are perfect to someone. This video made me feel really sad. Bullies shouldn't bully anyone just because they feel like it, or they've been through it themselves. Just because they've been through it, it doesn't mean they can do anything to you. This basically means that the world has been given into the hands of Satan and he currently owns the world. So he finds a way to make our lives a misery. We will never be happy until we go to God, I believe. I am so incredibly proud of all of you and the determination you show to try and deal with the issue of bullying. Jade, thank you for adding this post to our discussion. 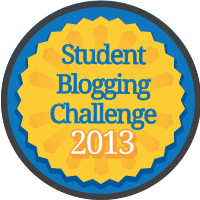 This is what a blog should be - owned by all of us as teachers and learners. I think the most important thing is to always speak out - Do we want to be part of the problem or part of the solution and try to put an end to bullying?